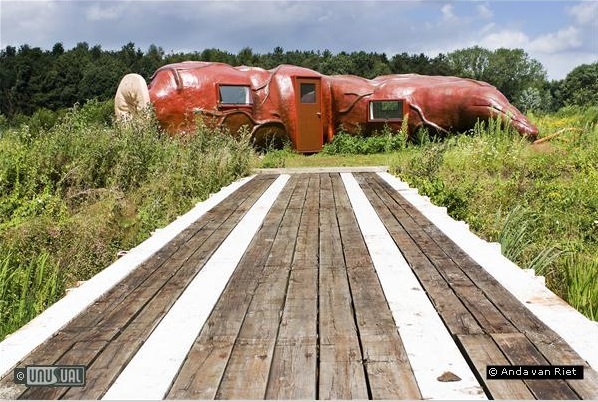 This is one of those indescribable properties that leaves people stunned when you say that you slept in a giant model of a human intestine. From the initial Why? to the usual How and Where, and of course eventually, What was it like?? 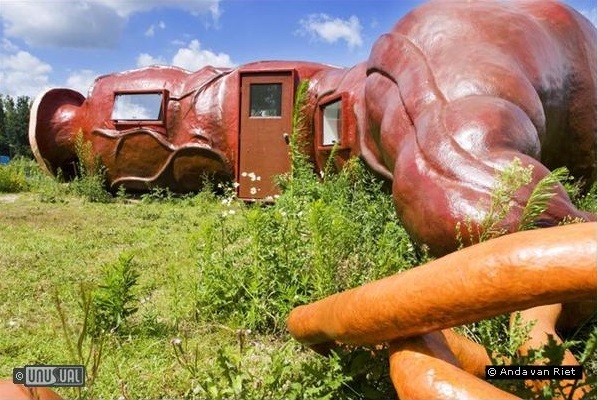 It's an Art Sculpture - created by Joep Van Lieshout and there's a normal double bed inside. 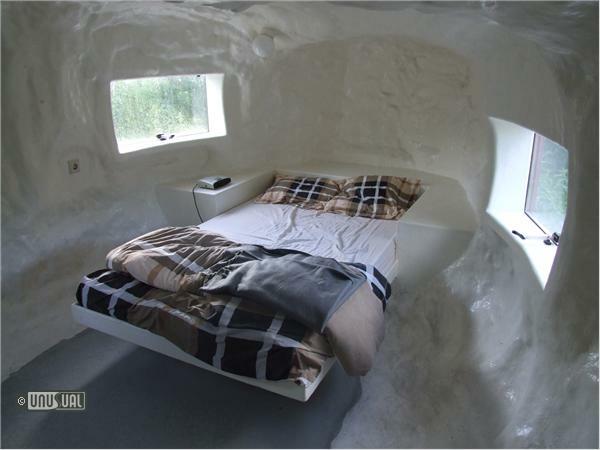 There is an electric point, heater, as well as a shower and toilet at the other end of the room, with hot water. When UHOTW visited the curtains weren't fitted, but even so, we slept ok. Breakfast was taken in the nearby main building. With 12 hectares (29.7 acres) of scenic area and 20,000 m² (4,9 acres) covered spaces, the Foundation is one of the largest private initiatives for contemporary art throughout Europe. The warehouses of the former Verbeke transport agency were transformed into unique exposition halls. An exceptional array of roughly two thousand, particularly twentieth century, collages and assemblages lies at the heart of the private collection. Parts of this collection are on permanent display in a separate exhibition area. 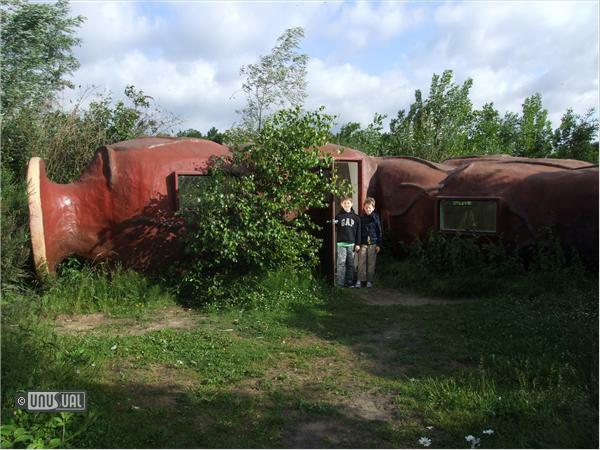 CasAnus costs €120 per night, inclusive of breakfast and entrance to the sculpture park. In search of an extraordinary original location? 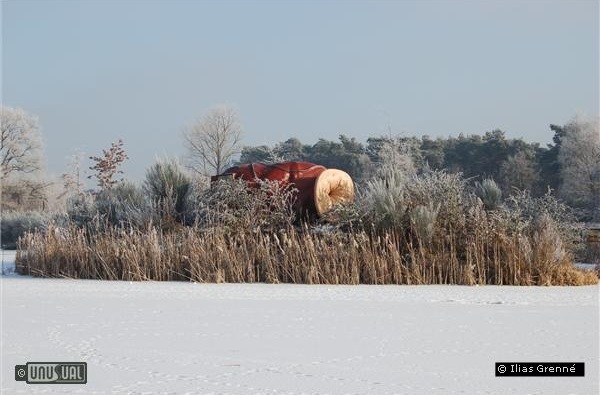 The Verbeke Foundation will suit you down to the ground! A unique solution for business events, staff parties, product presentations and fairs is at any time possible in their 20,000 m² large covered space, which is an exclusive combination of art and nature. A combined visit to the art collection is always possible. It's basic - but the bed is comfortable, and if you're primary interest is luxury - stay in a Radisson. 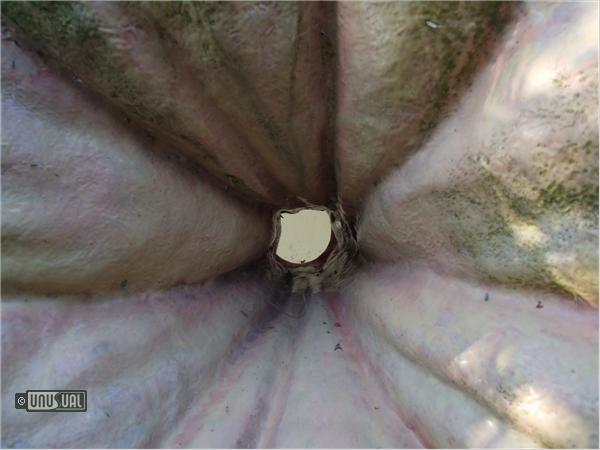 What sets CasAnus apart is the sculpture park - and there are some amazing creations to look at. I was lucky enough to meet with owners Geert and Carla, friendly and passionate art lovers. Stay... you'll likely never overnight in anything like this again!